Ola Outstation is the inter-city taxi service by the app based taxi operator, which has been re-launched in Delhi, NCR and Jaipur. As the Supreme Court has ruled, that diesel run taxis can only operate in Delhi and NCR if ferrying BPO employees, Ola is surely giving the diesel taxi owners hope to survive. 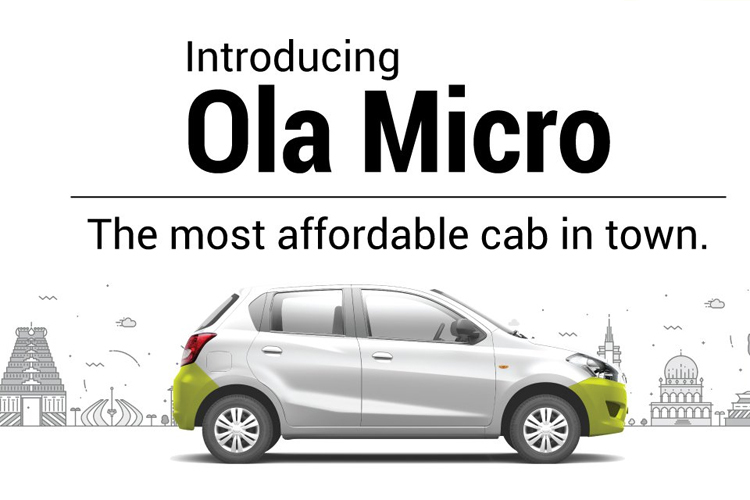 Ola has re-launched its outstation taxi service for the customers of Delhi, NCR and Jaipur initially; but the service will begin in other cities in near future. The app based taxi service company has introduced the new outstation category on its mobile app as well. Through this Ola Outstation service the customers of Jaipur, Delhi and NCR can book taxis and start their trip in just two hours. Initially the app offers two options for the customers, which are Mini and Prime. The Mini cab will cost the customers a base fare of Rs. 2000 for 250 kilometers and 24 hours, and after that Rs. 8 for every additional kilometer, while the Prime category cab will cost a base fare of Rs. 2500 for initial 250 kilometers and 24 hours, and Rs. 10 for every additional kilometer. Apart from that, the customers will be charged a Rs. 250 for per night as the night time charge. All the ride payments have to be made through cash only method. In its early years Ola offered outstation trips, but later discontinued the service. Since then the company has been providing service within the city. In August of 2013 Uber also entered the app based taxi service sector. Both the Ola and the Uber saw a rising popularity in recent years in India, where taxi meant yellow cabs earlier.